To keep the carpets in your home, office, business or rented property in presentable condition you should deep clean them regularly. This means that the cleaning procedures should be done at least two times every year. We understand that you might not have the time or the proper knowledge for that, so we offer a professional carpet cleaning service, which can be a lot useful for you! If you use our carpet cleaning services, your domestic and commercial property will be in great condition. Our staff knows how to remove germs, dust mites, smudges and stains from any type of carpet. 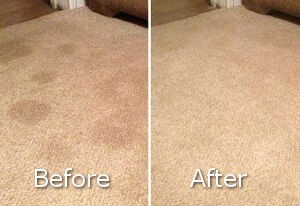 They use the best techniques and methods to perfectly clean the carpets and will in no way damage their condition! Rely on them to ensure the impeccable condition of the carpets in your home and business property. 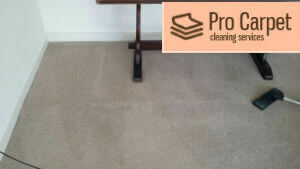 We work seven days per week and provide first-rate carpet cleaning services in SW15 Roehampton at affordable rates. Get in touch with us to book your cleaning for a convenient time and it won’t be long before your carpets are cleaner, fresher and will definitely look better! Our staff will check the carpet and apply the necessary procedures to restore its colors and hygienic condition. They will pre-treat the stains and soiled area using special sprays. After that, our cleaning technicians will hoover the carpet and use steam and dry cleaning machines to extract the dirt from it. Find our carpet cleaning also in Streatham, Tooting and Wandsworth. ﻿The dry cleaning is implemented on carpets, made of delicate fabrics which shouldn’t get wet. It is done with cleaning powder and special machines which spread the powder in the carpet fabric. The dirt and grime is removed with vacuum cleaners. Steam cleaning is suitable for most carpets. It is implemented with specialised machines that inject cleaning solution in the fabric. 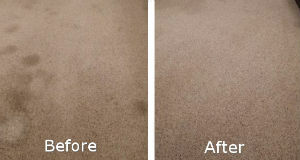 The dust mites, germs and dirt are extracted under high pressure with the machines and make the carpet look like new. After all cleaning and drying procedures are completed, the carpet is deodorised. You will definitely not sense any harsh or unpleasant smells after our carpet cleaning service! Choose any day and book the service at time convenient for you, anywhere in Roehampton. Rely on our employees to refresh and sanitise your carpets and ensure their excellent condition. They are experienced in the cleaning area and always give their best when completing a cleaning task! You can also give them any preferences for the service, and they will comply with your wishes in order to achieve the desired results and meet your expectations! Beside our professional equipment and experienced staff, we offer fixed and reasonable prices to all of our customers. We want to be able to help as much people as possible, so we want to be available in every meaning of the word! We, also, work every day of the week, including on official holidays, so you can take advantage of our hot prices whenever you decide! If you need professional carpet cleaning for your home, commercial or rented property, located in SW15 Roehampton, get in touch with us and we will deliver the highest quality of the service! The first impression your carpets make will without any doubts be more than impressive! Our team at customer support is waiting for you to contact us and will openly answer any questions you might have and book you the professional carpet cleaning!